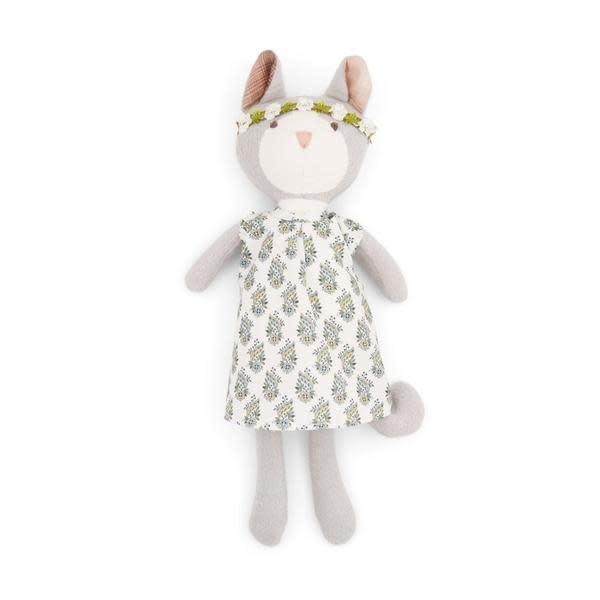 Hazel Village Gracie Cat in Tea Party Dress and Flower Crown is a soft and sweet companion, complete with an adorable outfit and headband. If you ask Gracie what her favorite activity is, she will tell you: fishing. She has loved it ever since she was a kitten. She says on a good afternoon, she can catch a dozen minnows. When she has enough she takes her fish to Owen Fox’s house, and the animals have a fish fry. Although some of them eat only salad. Gracie says that is fine; more fish for her. 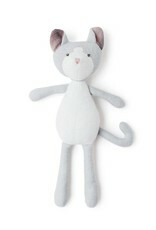 Gracie is about 14″ tall. 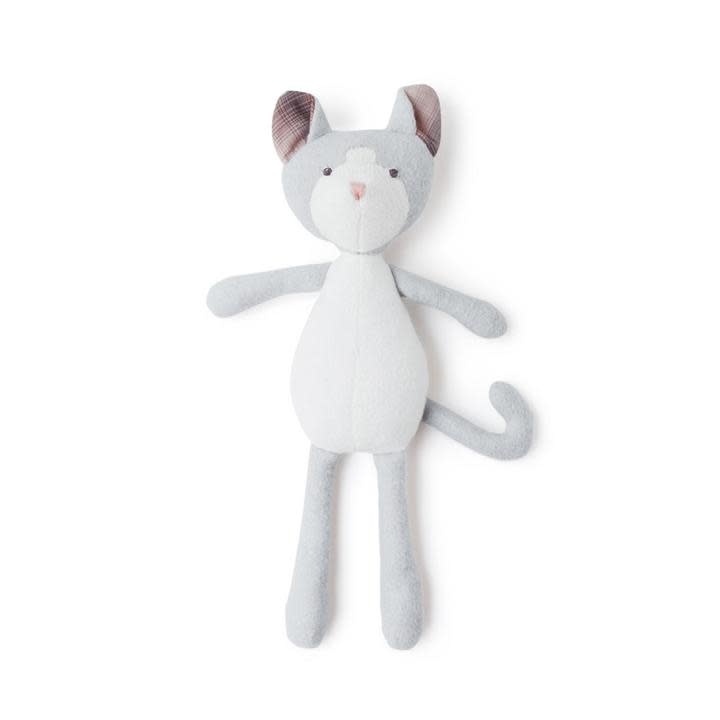 She is made of organic cotton fleece, mostly gray but with natural-colored details on her face and tummy. 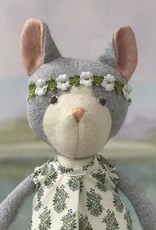 Her ears are lined with light pink cotton. Her face is hand-stitched with cotton embroidery thread. She is stuffed with polyfill. If she gets dirty she can be hand washed in cool water and air dried. She wants to remind you she sticks her feet in the pond all the time - you shouldn’t believe what you hear about cats hating water. She says that minnows are color blind so they don’t get startled when she wears it. 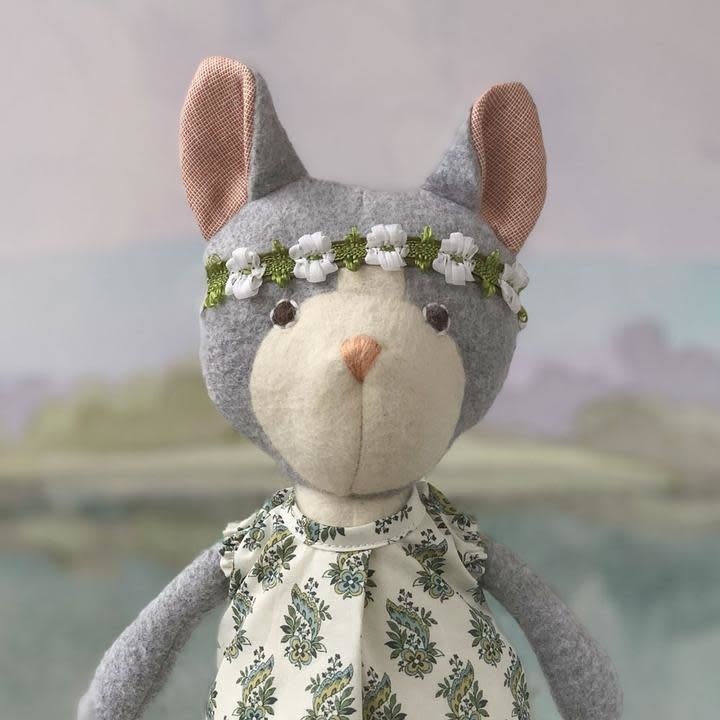 Her white dress with green delicate flowers matches with her beautiful flower crown, she is ready for a gran stroll outside. 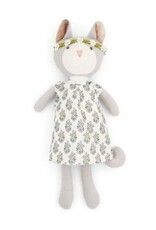 Her dress has a velcro closure in back for ease in dressing or removing.